AB de Villiers has stated that sky's the limit as far as “exciting young talent” Sanju Samson is concerned. The South African talisman has also added that momentum is the key in a long tournament like IPL and the challenge becomes straightforward if a team start to win from the get-go. 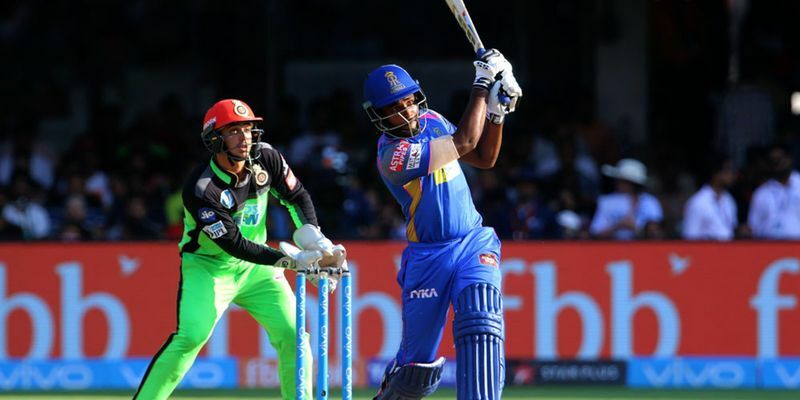 Watching Samson score a majestic 92 runs off 45 balls in the match against Royal Challengers Bangalore, it was quite evident that the young Keralite was on a different plane altogether. While RCB's spinners, Yuzvendra Chahal and Washington Sundar, were successful in putting the brakes on the Rajasthan rampage, Samson clinically lofted against the pacers, especially in the death overs to take the team's score to 217, which eventually helped the Royals beat Bangalore at their own den and that skillful innings impressed de Villiers big-time. “Sunday’s defeat at home to RR was disappointing because, in so many ways, we weren’t far away from where we needed to be. The match probably turned when they scored 85 runs from their last four overs, and it was a pity that we bowled two no-balls and both the free hits were sent into the stands for six; these are the details that matter,” de Villiers wrote in his column for TOI. After the high that was 2016, Bangalore - probably the most star-studded team in the league over the years - fell from grace and lost six out of seven home matches last year to finish with the wooden spoon. However, after completing several shrewd buys at the auction this time, it was expected that this was finally going to be their year, but if the showings in the first three matches are anything to go by, the team seem to lack that X-factor in the combination, which could have led them to victory. “It’s been said before and it will be said again: momentum is the key to success in the IPL. Win one match, and then another and suddenly the challenge seems more straightforward and more fun, and then you win again... and you advance with the magical M-factor,” he wrote.